Chinese President Xi Jinping wants ideological control to be the Chinese Communist Party's number one priority in the months ahead. At an August 19 meeting of Party propaganda chiefs, who are responsible for monitoring major online and offline media outlets, Xi ordered the CCP propaganda machine to build “a strong Internet army” to “seize the ground of new media”. “The most impressive [point] is that Xi said the Communist Party should be combative, instead of being passive, and it should wage a war to win over public opinion,” said a media expert speaking to Hong Kong's South China Morning Post on the condition of anonymity. Under this initiative, government censors will focus on eliminating online “rumors”. This may signal a new, even tougher era for Internet users in China, where any piece of information that does not come from official government channels can be considered a rumor. And the crackdown is already well underway. 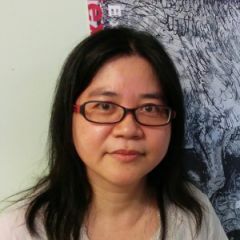 Chinese activist Wen Yunchao has documented over than 42 round-ups of netizens since August 20. Within two weeks of the announcement, over 450 netizens had been arrested and put under administrative detention. Several face charges of provoking disturbances, blackmail, and fabricating facts. Those arrested are not just traditional political dissidents — they range from online opinion leaders to independent online business owners. We highlight a few emblematic cases below. Xi Jinping's war to seize the ground of new media launched immediately, with the August 20 arrest of two famous Sina Weibo personalities Qin Huohuo (Qin Zhhui) and Lierchasi (Yang Xiuyu) in Beijing. China's Central Television Station and major newspapers reported on the arrests, emphasizing an online marketing business that the two men ran, which involved fabricating online scandals, writing defamatory remarks, deleting negative comments and spreading rumors. In ventures like this, known as Internet Water Armies, online marketing businesses shape public opinions, usually on certain commercial products. To increase their influence, the water armies tend to spread sensational stories which do not follow the party line. Qin and Yang have admitted that they participated in developing and distributing viral stories on China's Red Cross scandal and a train collision in Wenzhou that took place in 2011. Though the train collision story was widely reported by official media, Qin and Yang added controversial and ungrounded details in their reporting, such as the 30 million Euro compensation awarded to the family of an Italian victim in train collision. In 1959, Lei Feng's leather jacket, woolen pants, leather boots would have costed him 90 yuan, but his monthly salary was only 6 yuan! Unlike other non-political scandals, the above story on Lei Feng is considered political in nature as it tarnishes the image of the Party's role model for young people, a significant area in the ideological battlefield. Qin and Yang were charged with “provoking disturbances” and “running an illegal business”. Their arrests set the standard for police units across the country to crack down on privately-run water armies. Once these businesses are kicked out, critics believe the CCP's 50 cent party, a group of online opinion commentators hired by the CCP for channelling public opinion, will monopolize the water army sector. Qin and Yang's business dealings have not earned them much public sympathy and few have stood up to defend them. This has thus won the legitimacy for the CCP war against other online dissenters –individual opinion leaders who are critical of the Chinese government. On August 10, the State Internet Information Office (IIO) organized a public forum with famous opinion leaders, where it coerced them into accepting a set of self-censorship guidelines (the so-called ‘baselines’ in official terminology.) Those who refused to be tamed have since been threatened with public prosecution for other offenses. Entrepreneur and prominent online commentator Charles Xue, who refused to comply with the baselines, was arrested soon after on prostitution charges. This has unquestionably had a chilling effect for online opinion leaders. As if the threat was not clear enough, several editorials published in state-controlled media outlets have warned [zh] other online opinion leaders that they should adhere to the baselines to prevent themselves from following in Charles Xue's footsteps. The prosecution of Qin and Yan indicated that disrespectful imaginary stories about CCP heroes are considered “rumors”. Apart from Qin's Lei Feng spoof, a Guangzhou netizen was detained for publishing a fictional re-telling of The Five Heroes of Mount Lang Ya [zh], a CCP propaganda story about the anti-Japanese war. The netizen wrote on Sina Weibo that the five heroes, typically portrayed in a positive light, were actually bullies in their village. They were fighting the Japanese because local villagers told Japanese soldiers to kick them out of the village. The netizen was punished with one week administrative detention without trial on August 30. While more and more reporters and netizens have turned to social media to expose corruption, they have become prime targets on the government's ideological battlefield. In one example, Beijing reporter Liu Fu was charged with “provoking disturbances”. Before his arrest, Liu published on Weibo allegations of corrupt behavior by Ma Zhengqi, who is the deputy chief of State Administration of Industry and Commerce of the country. Liu Fu has exposed a number of corruption cases through his journalistic work and in most of the cases, the officials in question have been found guilty. Netizens writing defamatory remarks on individual and unconfirmed witness accounts of street fights, accidents, and illegal activies such as kidney harvesting have also been arrested. This is not the first time the CCP has campaigned against online rumors. But opinion leaders from a diverse range of perspectives have spoken out against the abusive definition of “rumor”, with many arguing that the best way to combat rumors is to uphold freedom of expression and let the public see the truth. But now the CCP has changed its tactics, attacking opinion-making businesses and leaders by pointing to outdated activities in the case of Qin and Yang back and showcasing Charles Xue's involvement with prostitution. The chilling effect is pervasive. Together with social media filters and a steady stream of take-downs of online content, it is becoming more and more difficult to find dissenting opinions online. 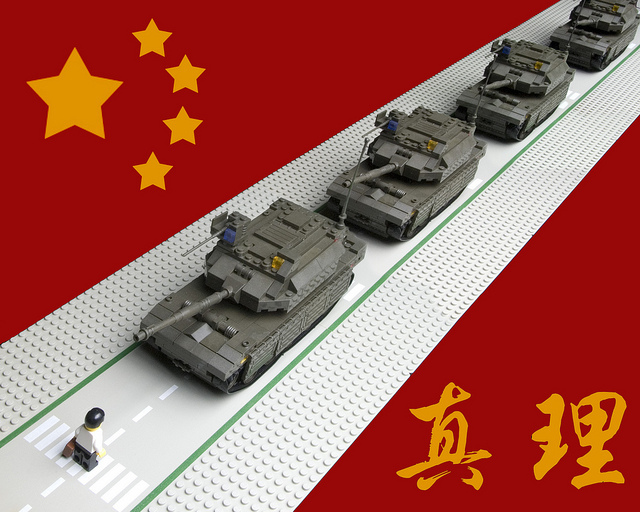 For now, it appears that the CCP has gained an upper hand in the ideological battle. It is certainly true that China’s ruling thugs are coming down very hard on online discussion, but the choice of Qin Zhhui and Yang Xiuyu as emblematic of the crackdown leaves something to be desired. These characters are unethical scumbags whose online shenanigans would at best be distasteful and possibly violate laws even in a country that features the rule of law (vs the rule of law with Chinese characteristics). I think it would be more productive to focus on some of the lesser known but perhaps more deserving of the several hundred who have been swept up by the Party’s thought police. hi steve, thanks for your comment. i agreed that qin and yang are unethical scumbags. and probably most liberals think so that’s why the authorities chose them as the first target of the crackdown campaign. people were happy and did not challenge the reasons behind the arrest and issues related with procedural justice. the two incidents – train crash and red cross happened two years ago, it is fair to question how come they were not arrested at that time? (some even pointed out they were invited by CCTV as guest to comment on online culture two year ago.) the lei feng incident is highly questionable. they are not the first to spoof lei feng and will not be the last. their prosecution has help the authorities to obtain the legitimacy of the crackdown. secondly, if you look into wen yunchao’s list, there are more than 3-4 crackdown cases against the online navy and each cases have involved hundreds of online commentators, maybe some of them are also scumbags, but these group of commentators who are working for private companies have constituted a independent sector of online commentaries and quite a number of them gain their popularity by criticizing the government (rather than spreading unground facts and rumors). the latest development that the government have started issuing certificate for online media analyst is also noteworthy – the beginning of a move to exercise more control on online navies, making sure that they follow the party “baselines”. Hello Oiwan. Good point – by starting with disreputable people like Qin and Yang, the government appears to be acting in the public interest and many people will accept this. The latest developments are really disturbing. If somebody posts a “rumor” that is reposted 5000 times, the person who originally posted the “rumor” can be imprisoned. Of course, determining what constitutes a “rumor” is entirely in the hands of party officials. Enforcement of this rule could put an end to a lot of online conversation.